ATTENTION: THE CLOSED CLOSURE. It was fenced by the land owner. 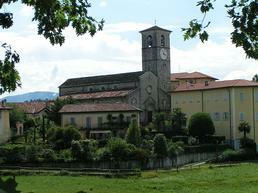 Falesia located 300 meters high, on the shores of Lake Maggiore. Exposure to the west that allows climbing even in winter, especially in the afternoon hours. The wall is made of limestone, rich in hand grips, large and small, but in order to climb it is not enough. In fact, a good dose of strength and technique is needed, even when it comes to feet. The nailing is very good (as recently rebuilt but respecting the original ways), with a long distance between the bolts. For experienced climbers.